Joe Swail lost 5-1 to Marco Fu in the quarter-finals of the German Masters in Berlin on Saturday. The Belfast player had reached the last eight of the new ranking tournament by defeating former world champion Shaun Murphy 5-2 on Friday. 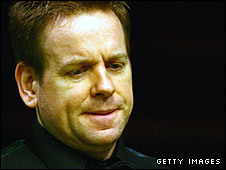 In the previous round Swail had seen off the challenge of compatriot Mark Allen, winning 5-3 against the Antrim man. He earlier hammered Belgian Hans Blanckaert 5-0 in the qualifiers.